Tech giant Google recently named VMware founder and former CEO Diane Greene as the head of its cloud enterprise. Greene is considered a pioneer in the cloud computing platform. She headed VMware from its founding in 1998 until 2008. 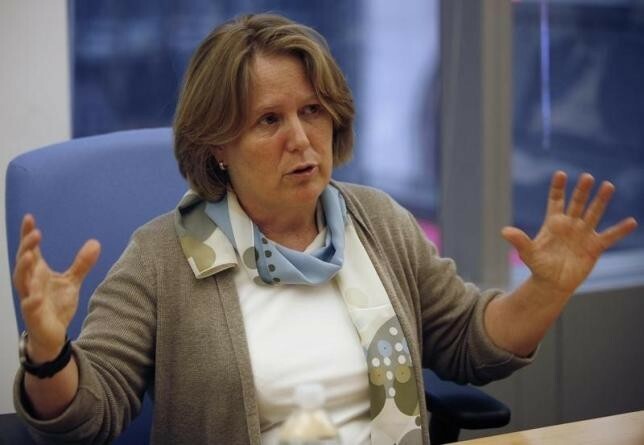 Google CEO Sundar Pichai announced the news on Google's official blog posting, "We're excited that Diane Greene will lead a new team combining all our cloud businesses including Google for Work, Cloud Platform and Google Apps." Prior to heading Google's cloud enterprise, Greene served as member of Google's board of directors for three years. As part of Greene's agreement to head Google's cloud platform, Google will acquire Bebop which is another startup company founded by Greene. Bebop is a new company that provides a platform for developers to easily create and maintain enterprise applications. With the acquisition of Bebop, Google will integrate its services into its own cloud enterprise platform in order to further expand its business scope. Aside from heading the Google's cloud enterprise business, Greene will also act as senior vice president for the search giant's enterprise businesses. With Greene joining the Google team, the Mountain View-based tech giant will now have a true executive with an intensive background in the cloud platform. VMware is known for its enterprise software that can run computing programs across several machines. VMware softwares are used primarily by corporations that require data management for their massive data centers. According to The New York Times, the hiring of Greene is a sign that Google will be focusing more on the now increasingly popular cloud platform. Despite its massive lead on other aspects of the tech world, Google is still playing catch-up in the up-and-coming cloud platform against the current industry leader, Amazon.